Neil E. Hendershot (Of Counsel) – Schiffman Sheridan & Brown, P.C. As Counsel at the law firm of Schiffman, Sheridan & Brown P.C., Neil E. Hendershot, Esq. possesses extensive legal experience in the areas of elder law, personal and estate planning, estate and trust administration, and Orphans’ Court litigation. Attorney Neil E. Hendershot was admitted to the Pennsylvania Bar Association in 1976. As an elder law, estate, and estate planning attorney, he addresses such issues as Living Trust and Living Will matters, legalities surrounding probate law, and legal situations involving the financial, physical, and emotional well-being of the elderly. He represents clients in Harrisburg, Camp Hill, Carlisle, and the surrounding Pennsylvania communities. From 2002 to 2003, Mr. Hendershot served as Chairman for the PA Bar Association’s Real Property, Probate & Trust Law Section, as well as its Council for a decade. Since 1978, he has been an Editor of the Section’s Newsletter, which is published twice yearly. Recently, he served as Executive Editor. Additionally, he served as Chair member of the Orphans’ Court Rules Committee of the Dauphin County Bar Association. Mr. Hendershot was also a member of the Estate Planning & Probate Law Section of the DCBA, of which he was founding Chairman. From 2007 to 2013, Mr. Hendershot served on the Orphans’ Court Procedural Rules Committee, a position he was chosen for by the PA Supreme Court. He’s been an active member of the Advisory Committee on Decedents’ Estate Laws, of the PA Joint State Government Commission for over two decades. He’s participated in several of its legislative study and drafting committees, many of which ultimately concluded with enactments. The work of these committees concerned various legal matters, including guardianship, powers of attorney, uniform trust law, transfers on death, and reproductive technology. In addition, Mr. Hendershot is a member of the American College of Trust and Estate Counsel. He’s taught and organized many courses since 1978, all of which are sponsored by the Pennsylvania Bar Institute. Some of his courses include “Mediation for the Elderly” (2010), and “Conquer Catastrophe” (2011). In addition to planning and teaching courses for the American College of Trust and Estate Counsel, Mr. Hendershot has served as an Adjunct Professor of Law at the Widener University School of Law’s Harrisburg campus since 2000. He’s also maintained the “PA Elder, Estate, & Fiduciary Law Blog” for nearly ten years. Mr. Hendershot is also the author of “PA HealthCare Decision Making” and “Pet Owner’s Planning”. Additional information on Attorney Hendershot can be located on the PA HCDM. 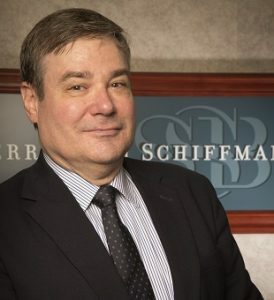 © 2018 Schiffman Sheridan & Brown P.C.